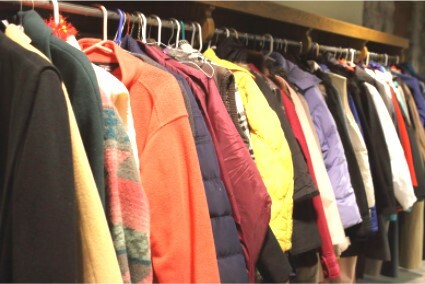 You are here: Home » Service » Clothing Donations Needed! Sunday, January 20th is approaching quickly! This is the final date for dropping off clothing for our Give-Away event! Please share this information with family, friends and co-workers! Clothing of all ages (newborn through adult) is needed, with children’s clothing being the greatest need! It is extremely helpful for volunteers to sort by gender and size and mark bags accordingly. We accept anything that completes an outfit; including coats and shoes. No undergarmetns or bathing suits please. Consider helping to organize and sort on Wednesday evening, 1/23 6-8pm; Thursday 1/24 9am-3pm and 6-8pm; and Friday 1/25 if needed 9am-3pm and 6-8pm. A sign-up sheet is posted on the Outreach bulletin board, or simply show up when time allows in your schedule. Contact Elayne Olson or the church office with questions.